Designed for Pellet Grills, Lumber Jack smoking wood pellets are the most popular and best quality BBQ pellets in the USA. We're proud to be distributing Lumber Jack 9kg (20lb) wood pellets bags throughout Australia. 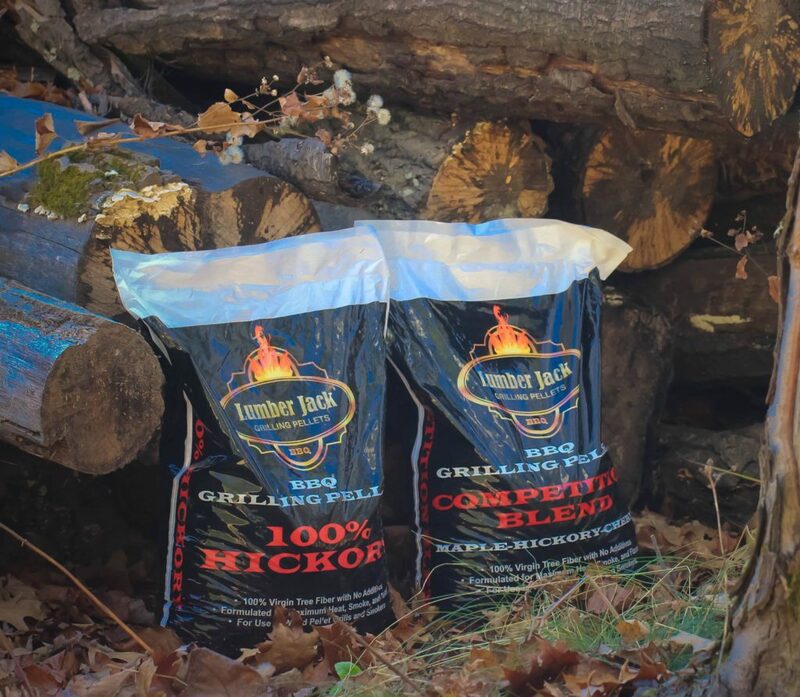 100% Hickory Lumber Jack pellets are the traditional BBQ favourite – good with beef, pork, or poultry. These pellets are made from 100% Hickory wood. Please note: Lumber Jack wood pellet bags weigh 9.5kg each and each item has a $10 flat freight fee per bag, Australia wide, remote areas excepted. Why is Lumber Jack so popular? Simple! The flavor of any tree is in the Metabolites or cambium layer of the growing tree. This means that all BBQ pellets made from residual sawdust as a by-product are generally comprised of the core kiln dried wood. For example, the sawdust from a hickory furniture or hammer handle factory is void of flavor or has only a very weak carryover from the growth in the cambium layer. When the old timers smoked meat and fish they did not take the bark off the wood they gathered for this very same reason. We are a round log plant which means we harvest actual trees and chip them up as green chips, with full flavor to make our BBQ pellets. When we say we de-bark the red oak base material in our blends, we do this for a very specific reason. Since the smoke flavor you’re looking for and expecting is in the bark, we leave the bark on the primary wood but remove the bark from the oak wood when we produce our blends. We do this so the full rich flavor of the primary wood comes through, such as Hickory in the Hickory blend or Apple in the Apple blend. This allows us to have the strongest flavor in our blends! Blends also have lower ash content when burned since they have less bark than our 100% varieties, which are not de-barked and therefore produce a more powerful and intense flavor.